Registrations took place at the RSL Hall Langford St Edenhope from 9:00am with tea and Coffee was available. There was a display of photos, information and maps on display in the Hall. Mundarra Park Soldier Settler Scheme. The unveiling took place at the corner of the Edenhope Penola Rd and the Mundarra Estate Rd at 11:30 am. Attendees then returned to the RSL hall for lunch and a chance for reminiscing. Also on Saturday the 8th of March the Edenhope Races were held which made a good opportunity to make a weekend of it, this would be a good chance to combine the races in your visit and a very good chance to catch up with old friends and acquaintances, maybe even win some money. 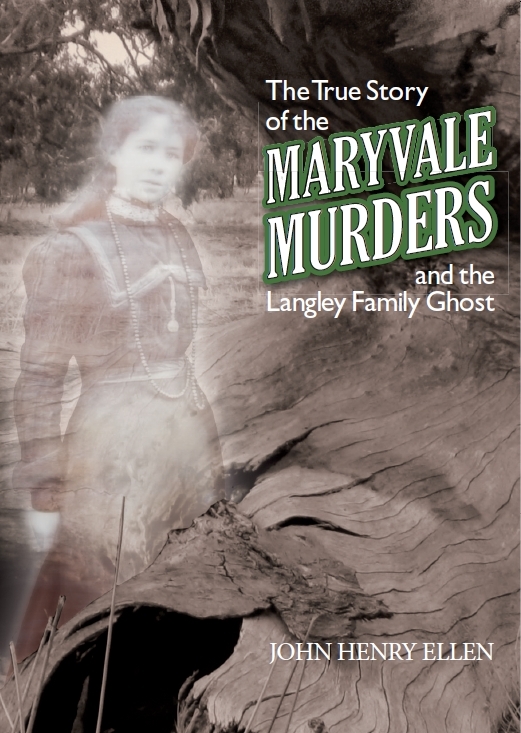 The book contains a selection of the stories – Jim Penrose, Vonnie Penrose, Annie Brant, Friday Robinson, Bill Crabtree’s Letter, Molly Farran, John Warner, Jean Burrell, KR Burchell, JR ‘Bob’ McClure, Tom Ryan, Rae Middleton, Charlie Kealy, Ian ‘Jack’ Burns, The sisters – Alma Logan & Enid Rivett, From Poverty to Prosperity – Kevin Sumemrhayes, Edenhope As I remember – Lois Krause, Margaret Street, Edenhope – Nan Hall, Warwick Dubois, Tom Gaynor, The Hills of Clunie, Jim Close, The Old Town in the Hollow, Thelma Tansey, Audrey Loft & Barbara McCarthy, Richie Foster, Winterlake Point to Point by Richie Foster, Gerard Cranage, The Golden Rule, Audrey Huntly, Chetwynd of Yesteryear, John Gartlan, Footsteps on the Floor, Lila Robertson, Dr Ron Bade, Max Grigg, Pauline Kelly, Norma Vordermaier, Robert Harkness, John Wilson, Peter Cassidy, Dorothy Robinson, Frankie Quinn, Jean Lampard, Pop McLean, Jack Cooney, Alec McDougall. 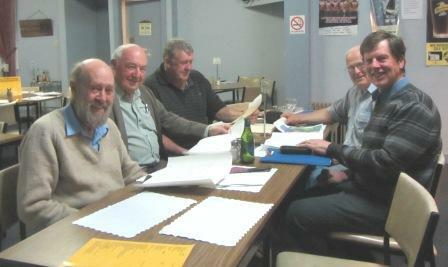 Plus photos of Edenhope, Goroke, Harrow and Apsley and other contributions. marry her, leave Mount Gambier in South Australia to take up a selection in Lubeck, near Murtoa. Where is the husband? Did he murder them and if so why? And was there really a ghost protecting the site where the bodies were buried? researched, and is more than just a murder story. It is a chronicle of the struggle and hardships that our early settlers had to endure, particularly the Langley Family with their seventeen children. Commemoration activity is planned for March 8 – 9, 2014 (labour day long weekend). All families and friends associated with the settlements are invited to attend a weekend of activity remembering the 17 settlers from Mundarra Estate and Mundarra Park. Information including addresses of descendants, photos, stories, newspaper articles or other memorabillia about the settlements is very welcome. Please contact Jim Farran 0408310107 or David Burns 0409866211 if you have anything of interest or would like more information. In 1952, Mundarra Park was divided into 8 blocks, varying from 660 to 1004 acres, depending on the productivity of the land. Those successful in being allotted blocks were; Errol Thornton, Norm Joseph, Ronald Lamshed, Reuban Burns, Jack Farran, Les Enright and Ken Mackenzie. 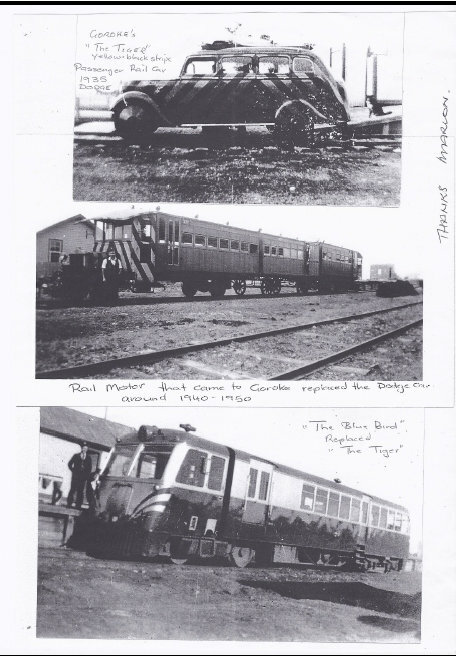 The “Tiger” Passenger Mail Motor operated passenger services on the Horsham – Goroke railway between 1937 and 1941. It was a Dodge chassis with a steel service car type body (three doors down each side) mounted on rail wheels. It seated 10 passengers and could carry luggage and mail on a roof rack and in the boot. They also sometimes towed a small luggage trailer. I have technical details and basic years that they operated, but would be interested in any recorded memories from people using the car on the Goroke (or Avoca) lines or local photographs of them operating. The VR had six built and they operated passenger and mail services on the railways between Ararat – Avoca – Maryborough (approx 1936 – 1942), Horsham – Goroke (1937 – 41), Shepparton – Katamatite (approx 1936 – 1942), Murchison East – Rushworth – Colbinabbin – Girgarre (approx 1937 – 42) and last but not least, Birregurra – Forrest (1937-52). 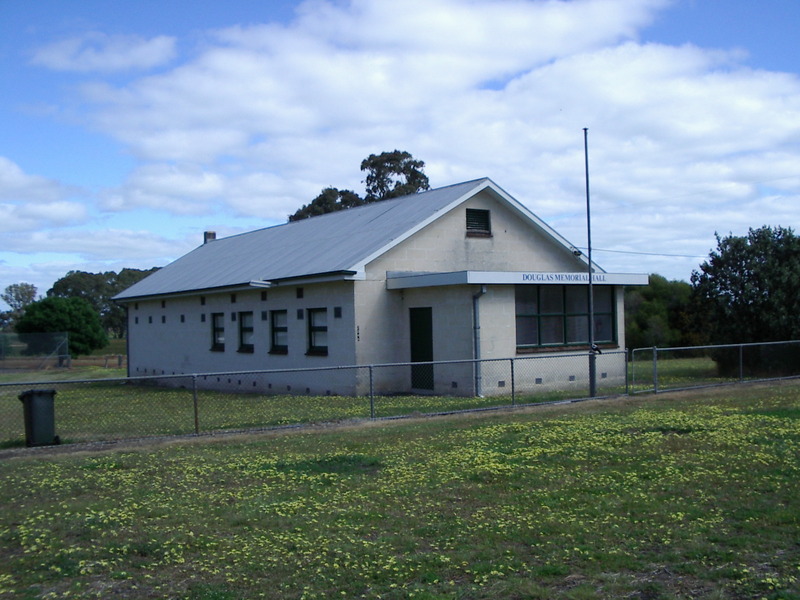 One may also have operated for a short time, probably during the later part of WW2, between Dimboola and Serviceton? My interest in them was started due to one operating from our restored station at Birregurra to Forrest. They were called the “‘Tiger” due to being painted yellow with black diagonal lines, so that they would be visible at level crossings. I am putting together some notes regarding the “Tigers”. I have some photographs of them on the Forrest, Katamatite and Rushworth lines, but so far none between Horsham and Goroke or between Ararat and Maryborough, hence my request. Geelong & South Western Rail Heritage Society Inc.
Do you have any information about the Horsham to Goroke train? Photos of the “Tiger” rail train sent in by Anne Nuzum of Goroke. What started out as an A3 page of history in the West Wimmera Advocate about the Edenhope Hospital has now turned into a delightful 66 page coloured book which includes information relating to facilities, services, employees, memoirs and photos. 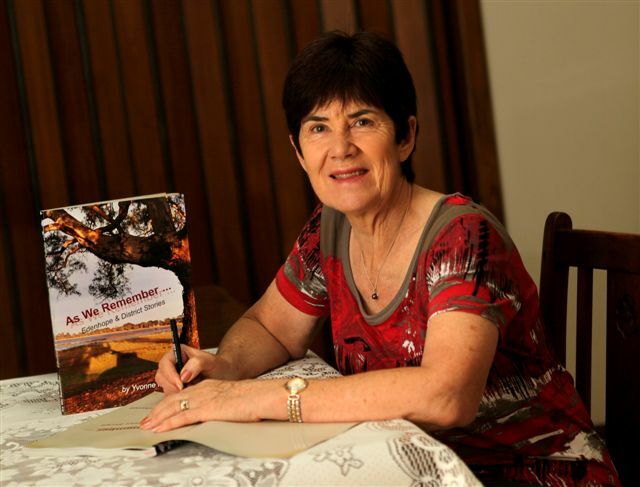 Yvonne McDonnell and her assistant cohorts, Christine Bull (designer) and Norm Robinson (editorial consultant) worked constantly throughout 2012 to create this book, which was launched at the Lions Park, following the annual 2013 Australia Day early morning ceremony. 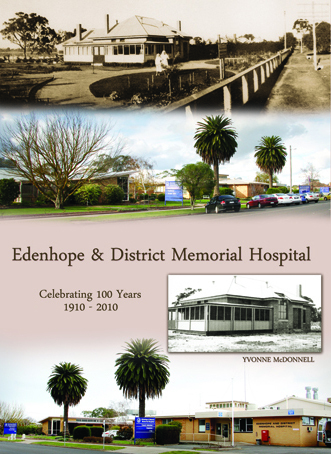 The book titled “Edenhope & District Memorial Hospital. Celebrating 100 years 1910 – 2010” has been a project that grew from the hospital Centenary Celebrations which were held in November 2010. The book is available for sale for $30.00, plus postage if required. Further copies may be obtained by contacting the hospital on (03)55859800. Senator Harrie Wade OBE officially opened the ‘new’ hall at a Gala Ball on the 17th August, 1962. The hall replaced the original hall which was opened on the 24th August, 1906. The ‘new’ Mt. Gambier stone public hall was built by Kevin Healey of Hamilton for five thousand, six hundred and eighty-seven pounds ($11,374) and the dance floor was made of Australian Ash timber. It was an occasion to be remembered. Two of the district’s former residents, Mr. and Mrs. Henry Bull, who had retired to Portland, were given the honour of being the first couple to dance on the new floor. Their grand-daughter, Miss Norma Shrive, partnered by Mr. Robert Haddon, was Star of the Ball. Many hundreds of locals and visitors danced the night away to Stephenson’s Orchestra from Cavendish and Mr. Jack Ross was M.C. Earlier the same evening about sixty former residents were entertained at a high tea in the supper room. The Hall Committee President at the time was Mr. Ian McLachlan and the Secretary, Mr. Stan Hobbs. 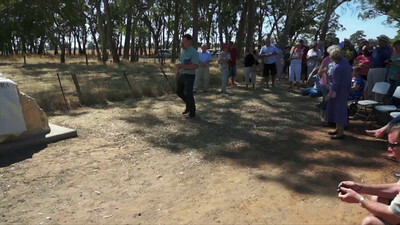 The 2012 Australia Day launch of Yvonne McDonnell’s book at Edenhope was an all out success. There were no spare seats available with almost 200 people attending, including many of the district identities that were interviewed by the author. Some attendees came from as far as Perth, Mildura, Melbourne and Adelaide and Yvonne was overwhelmed with support for her wonderful and tireless effort to get this book published. Speakers on the day included Ron Penrose, Richie Foster, Barry McClure and Loraine Harkness. 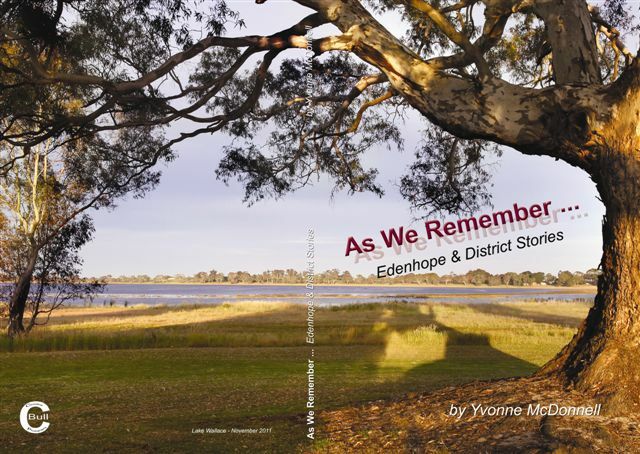 Yvonne expressed her heartfelt thanks to all who helped her on this journey including Christine Bull, design and layout, Norm Robinson, editorial consultant, Allan Sambell, Jan Lampard and Geoff Langsworth, members of Edenhope & District Historical Society. A fantastic morning tea supplied by Cheryl’s Coffee Blitz was then enjoyed by everyone, while Yvonne did some book signing. Sales of the book have been so successful that a reprint is now necessary. Funds raised from the sale of books will be managed by the Edenhope & District Historical Society for various projects including the signage of historical sites around Edenhope. You can view the contents page of the book here – As We Remember Contents. Kevin and Pearl Summerhayes donated this monument to the Edenhope community in recognition of the pioneers of the Edenhope District. Most Pioneer Settlers in the Edenhope District took up farming, represented by the plough and wheel. This work was mainly done by horses represented by the water trough. Edenhope was also the route taken by the Chinese going to the goldfields near Bendigo. These Chinese were great market gardeners and stonemasons, and are represented by the Chinaman, the stone walls and the water can. The stone that the plaque is mounted on came from the original Lake Wallace Hotel and would have also been shaped by Chinese Stonemasons. Most urban dwellers in the town would have drawn their water from a well, represented by the hand pump. 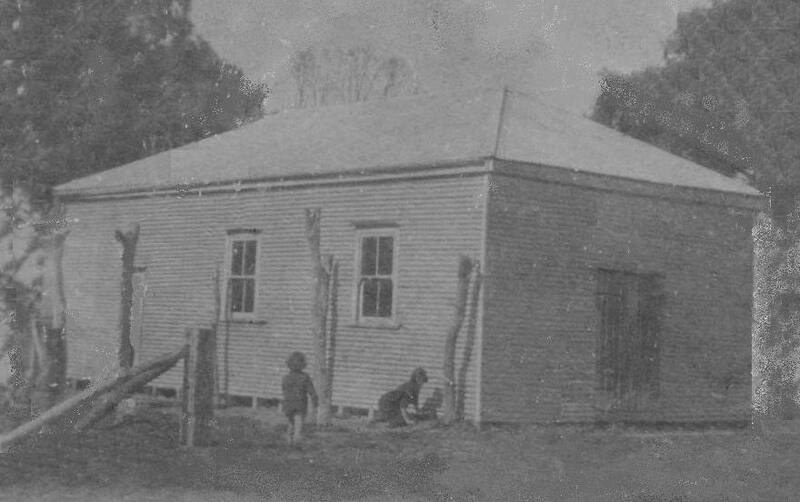 In 1878 the court house building was built and officially opened in 1879 to serve the pioneers of the district. The flag poles represent the great loyalty and patriotism that these pioneers had for their Queen and country that continues to this day. 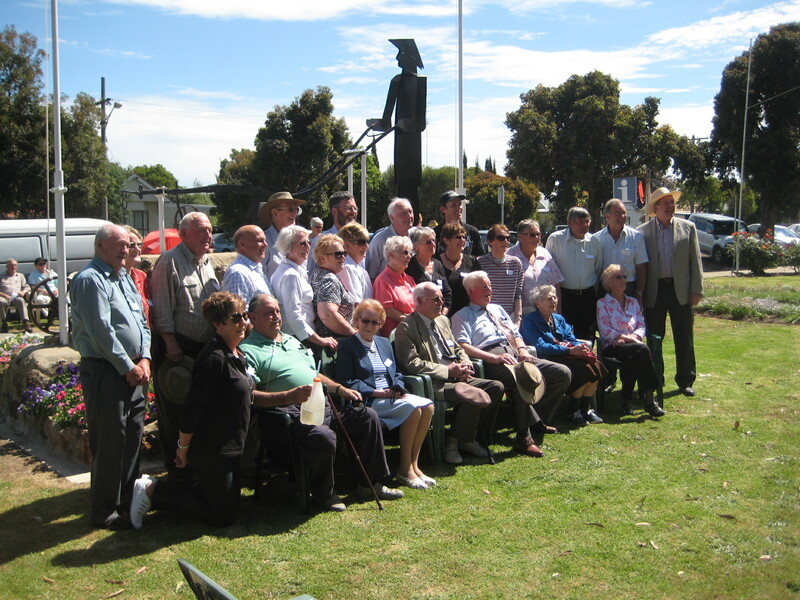 On 27th November , 2011 and unveiling of the Monument to Our Pioneers took place with local member for the Lowan Electorate, The Hon. Hugh Delahunty, MP, in attendance. Descendants of pioneer families were invited and a total of 24 locals participated by ‘sprinkling’ water on the monument. Some of the families represented were : Bull, Kealy, Edwards, Caldow, Pahl, Ryan, McDonald, Cranage, Cassidy, Hamiton, Mahoney, Dixon, Reader, Robertson, Tansey, Whitehead, Sambell, Lampard amongst others. The Hon. Hugh Delahunty MP, member for Lowan helped Kevin unveil the plaque. Did you know Edenhope was the Port capital of Australia? Well that’s what Hugh said his research told him. An interesting speech. Do you have any information about Edenhope War Veterans to share on the new Victorian Veterans Virtual Museum?